The press has gone into hyperbolic overdrive criticizing the Trump administration for separating families caught illegally crossing into the U.S. from Mexico. 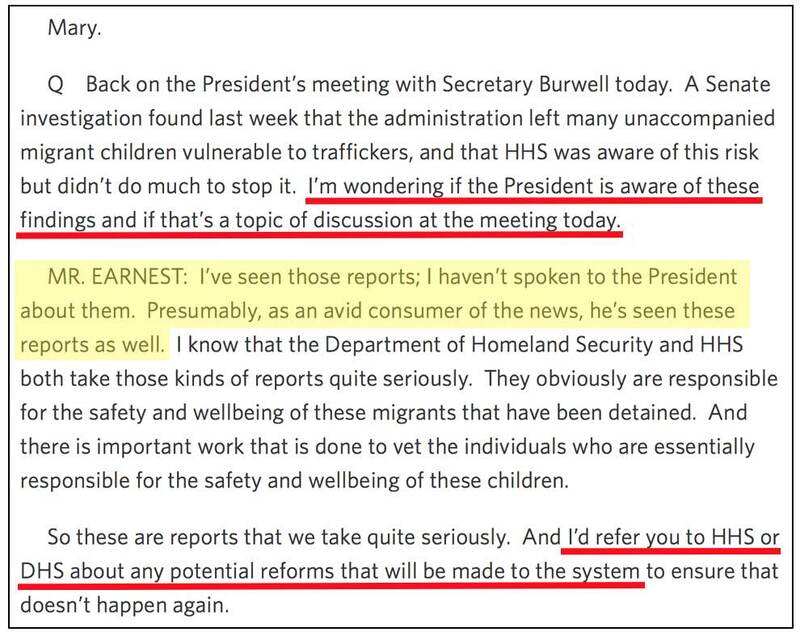 They clearly want the public, against all evidence, to believe that questionable processing of illegal-immigrant children and their families only began after Donald Trump took office last year. But in January 2016, the Associated Press, the Washington Post, and a Senate committee issued lengthy reports about unaccompanied children who were released to human traffickers. White House reporters, particularly at AP, utterly failed to push the Obama administration over how this was allowed to happen. 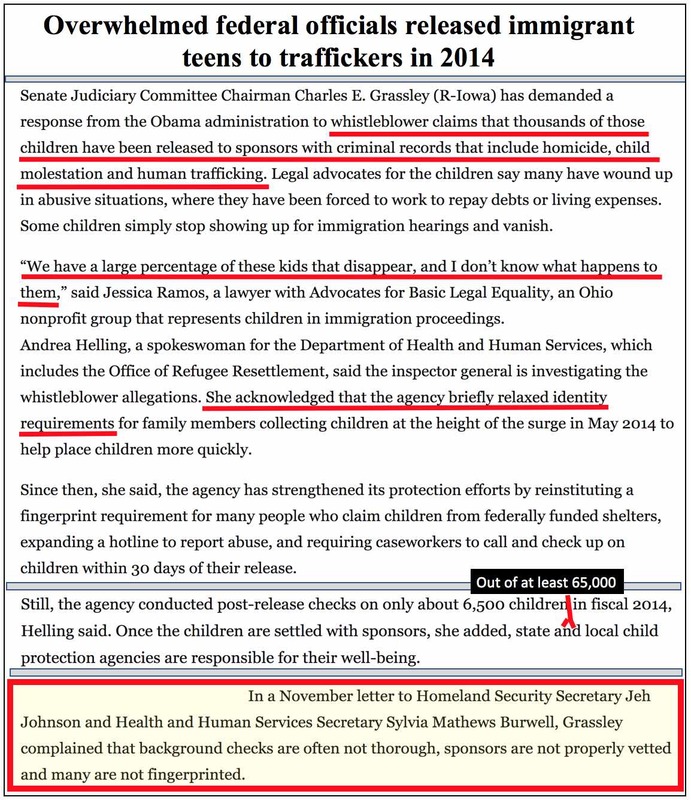 The children involved ended up in exploitative situations and worse specifically because Obama's Department of Health and Human Services deliberately relaxed sponsor vetting procedures. 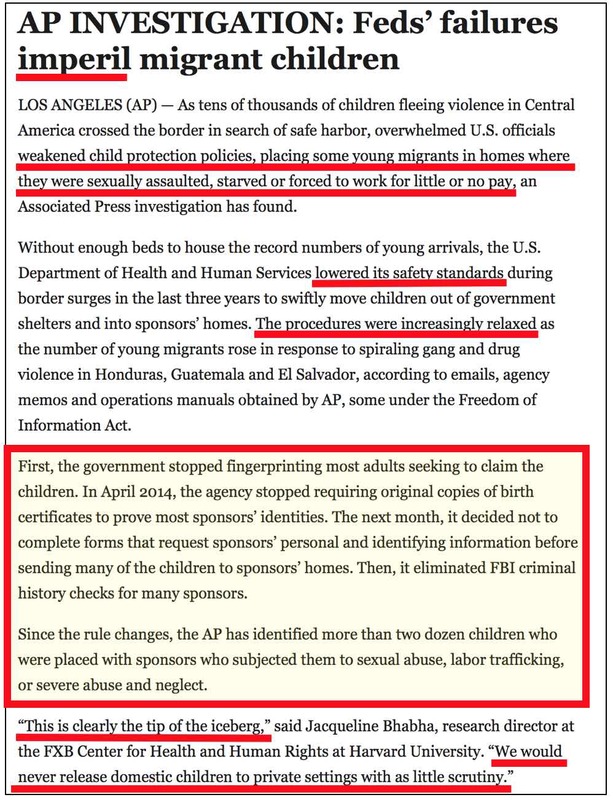 Burke identified instances of forced labor, abuse, and starvation, and spoke with professionals who "cited cases in which unaccompanied children were raped ..."
Web Archive searches indicate that AP front-paged this story at its then-main "Big Story" site for about 36 hours. The late-January report by the Senate Homeland Security and Governmental Affairs Committee's Permanent Subcommittee on Investigations observed that HHS hadn't taken its duties seriously until just days earlier — "Effective January 25, 2016, HHS has strengthened its background check policies." 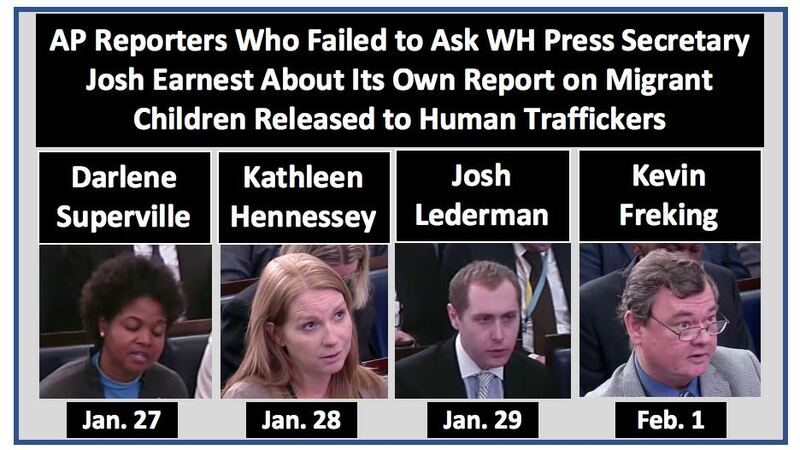 Recent media hysteria over current conditions and policies at detention centers cannot be squared with the press's obvious disinterest in holding the Obama administration accountable for releasing children to human traffickers, abusers, and rapists when exposed in early 2016. This media negligence was almost certainly agenda-driven then, so it's very reasonable to believe that the current hysteria is agenda-driven now.